Don't get to close to the water's edge because this Plush Alligator is hungry ! 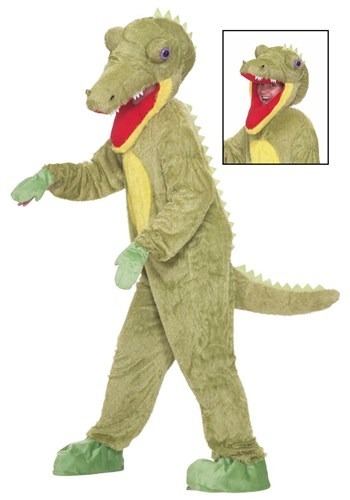 The costume includes a polyester crocodile jumpsuit and matching mask. A zipper in the back of the jumpsuit allows for easy on and off. Green furry threads cover the entire jumpsuit for a textured appearance, while a patch of yellow fur covers the belly. The sleeves end in elastic bands around the wrists, with green cartoon hands attached at each end. Velcro straps fit around your hands to keep the cartoon hands in place. Each pant leg ends with a green boot cover that features an elastic strap fits under your foot with Velcro. 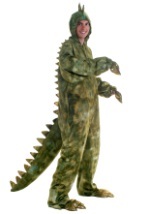 The back of the jumpsuit features felt crocodile spikes down the back, leading into a plush tail. The plush mask fits snugly around your head and features an opening around the mouth for your entire face. 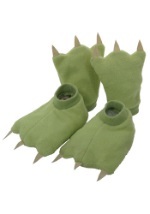 The mask is covered in a matching green furry fabric and features a long croc snout, large beady eyes and croc spikes. The mouth also features red detailing with white, felt teeth along the jaw. 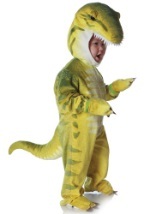 Whether you plan on cheering for your favorite sports team, or you need a new outfit for chilling out in the swamp, this funny costume has got you covered!